If you have been holding back until upgrading to an iPhone 4 until Apple released a white version of its new smartphone, then you will be disappointed to learn that the company has delayed the new white iPhone 4 until spring next year. The boring old black iPhone 4 was released earlier this summer back in June. The white model was originally promised to follow soon after in July, but has been delayed and delayed and delayed, causing frustration amongst those Apple fans and geek-fashionistas wanting a slightly different-coloured phone to the masses. "We're sorry to disappoint customers waiting for the white iPhone again," said an Apple spokeswoman. 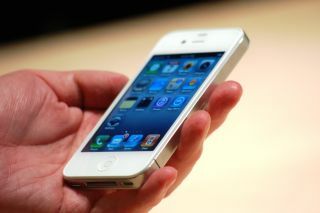 Apple claims that the white iPhone 4 was "more challenging to manufacture than we originally expected". Overall iPhone unit sales were up 91 per cent to 14.1 million in Apple's most recent financial quarter, a total sales value of $8.6 billion.